Extension is a place to obtain researched based information to help make informed decisions in our lives. 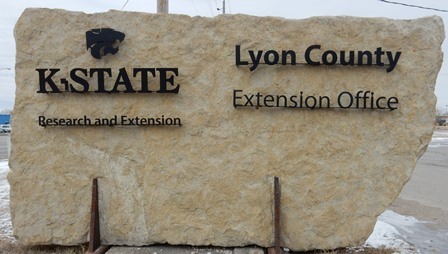 Here in Lyon County there are four Extension Agents specializing in the areas of Agriculture and Natural Resources, Family and Consumer Science, 4-H Youth Development, and Horticulture and Community Development. These Agents are here to answer your questions within the focus areas listed above. From lawn and garden to crop production, food preservation, livestock management and 4-H Youth Development, there is an Extension Agent here to answer your questions.